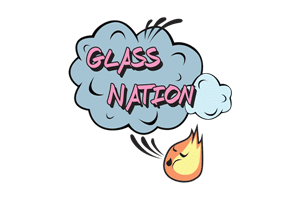 Glass Nation loves heady glass pendants and glass jewelry. We especially love handmade jewelry. Including heady glass pendants. So, we are proud to offer the very best in unique pendants, hand crafted by actual artisans skilled in the craft of jewelry. Our pendants are all hand-selected by our staff on quality, beauty, jeweler skill, composition, materials, and demonstrable artisanship! We are continually on the lookout for established and up-and-coming jewelers who create unique pendants by hand. If you are interested in seeing more of a given artisans work, please let us know. In addition, if you know of a jeweler who creates custom pendants we have not yet been introduced to, please let us know. A big part of Glass Nation’s philosophy is to bring you the very best in unique artwork. So, please do not hesitate to suggest an Artist/Jeweler to us. We are happy to add to our awareness of master jewelers.